Champion Energy is committed to the community and charities we support, as we work to power lives and power businesses. The Champion Scholars scholarship program was created to recognize those that feel the same way. We received over 2,000 applications, from students in Texas, Pennsylvania, New Jersey, Illinois, Ohio, Massachusetts and Delaware. Applications were evaluated based on academic performance, awards, volunteerism, and the response to this question: Being a champion is about more than winning or being number one. Sometimes being a champion is about giving back to the community, standing up for your beliefs, or supporting a cause you believe in. What makes you a champion in your school or community? 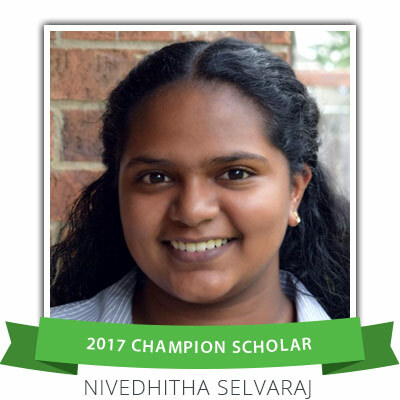 Nivedhitha is the recipient of a $5,000 Champion Scholars award. Nivedhitha attends The Woodlands High School where she succeeds in and out of the classroom. Nivedhitha is an avid youth education advocate, and hopes to use her education to further this cause. She will be studying Computer Science at the University of Texas at Austin. 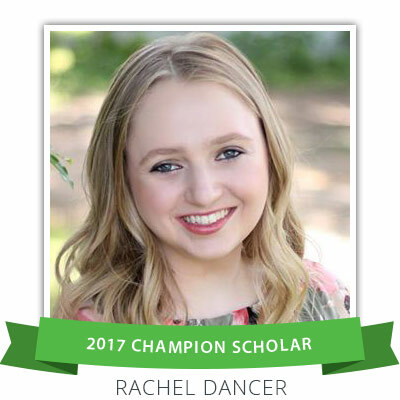 Rachel is the recipient of a $3,000 Champion Scholars award. Rachel attends Arlington High School where she excels academically. Outside of class, she founded the Full Frame Photography Project, providing free family portraits to single parent households. Rachel will be studying Engineering at the University of Pittsburgh. Aparajitha Adiraju from Vernon Hills, Illinois. 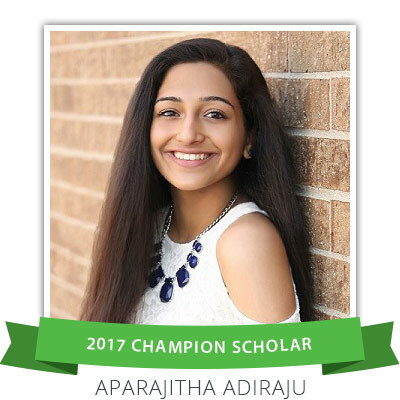 Aparajitha is the recipient of a $2,000 Champion Scholars award. Aparajitha shines academically at Vernon Hills High School. Her activities include serving as a math tutor for young children, as well as fighting child labor through Future Business Leaders of America. She will be studying Computer Engineering at the University of Illinois Urbana – Champaign. This entry was posted in Community, Inside Champion and tagged community champions, scholarship on May 16, 2017 by Champion Energy.